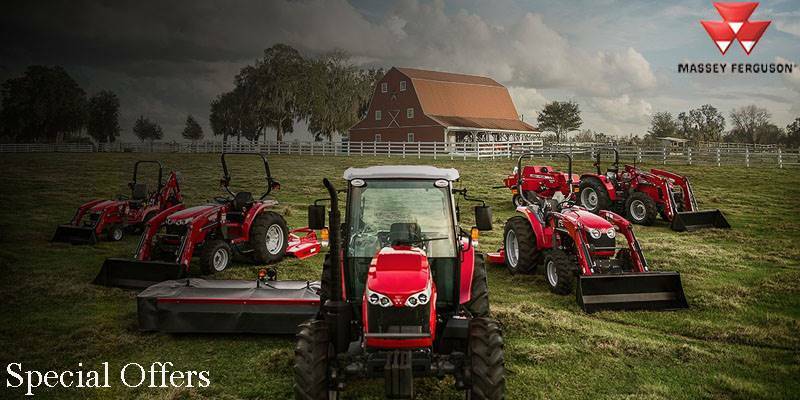 The Massey Ferguson 7700 series was created for farms like yours. 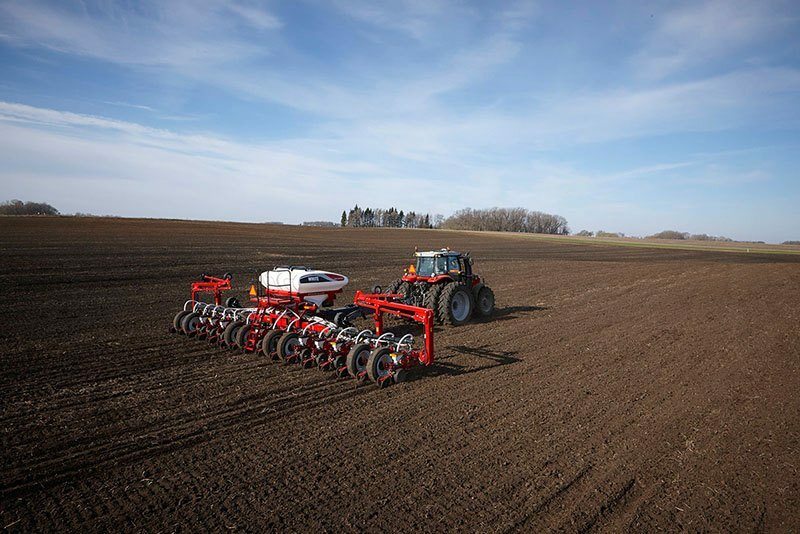 Powerful, reliable and easy to operate, these tractors easily jump from tillage, planting and harvesting to lugging, baling and loader work. FARMING’S TOUGH. BUT IT NEEDN’T FEEL THAT WAY: We believe a tractor that’s comfortable and easy to operate is a tractor that gets a lot of work done. Fast. That’s why we’ve engineered an environment that blends comfort, reduced noise and quality. SIS DASHBOARD: The new SIS (Setup and Information Screen) dashboard design provides for quick, clear and easy analysis of operating data. With just a glance you can check information on tractor performance, working area, working distance, fuel consumption or engine and transmission temperature. MULTI-FUNCTION JOYSTICK: The intuitive, multifunction joystick lets you keep your eye on what you’re doing and not on the controls. Designed for use with the integrated front linkage system, it also incorporates transmission functions, rear linkage control and cruise control. 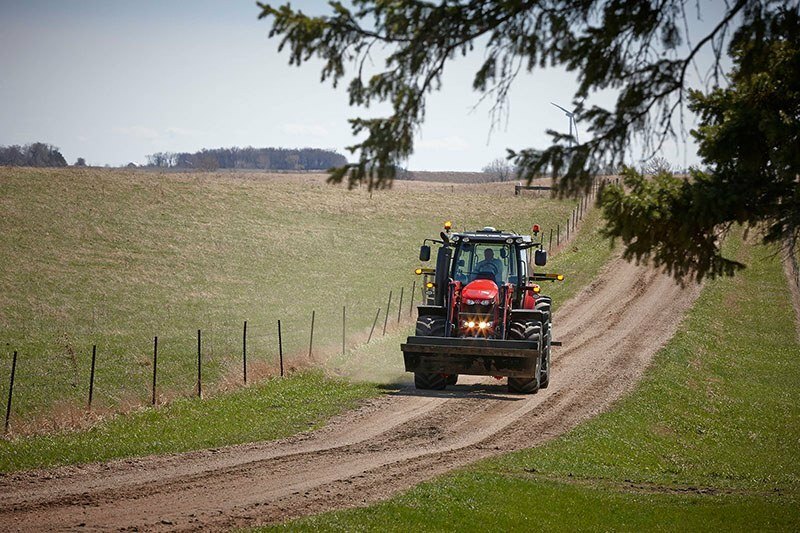 DYNAMIC TRACTOR MANAGEMENT: DTM allows the engine and transmission to “communicate” for maximum efficiency at any ground speed. If less power is required to maintain speed, the engine throttles back automatically. You save fuel, reduce engine noise and extend service intervals. 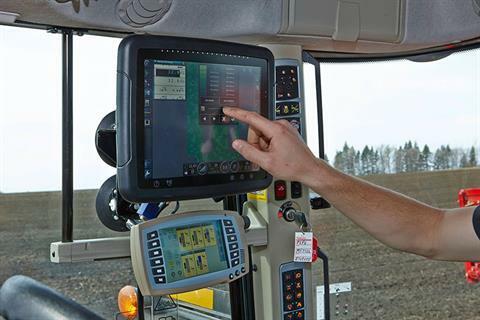 AUTO-GUIDETM 3000: This seamlessly integrated auto-steering system helps reduce fatigue and increase productivity. Highly advanced but simple to use, it even helps reduce input costs. 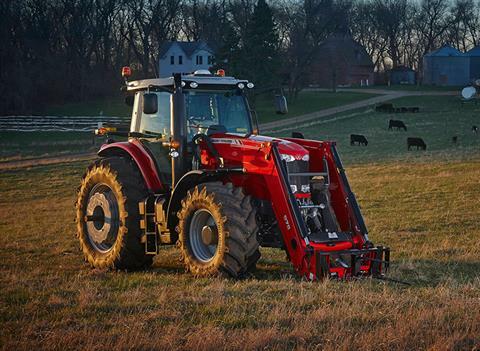 SHIFT YOUR FARM WORK INTO THE NEXT GEAR: Like you, this tractor’s ready for anything that’s thrown at it. 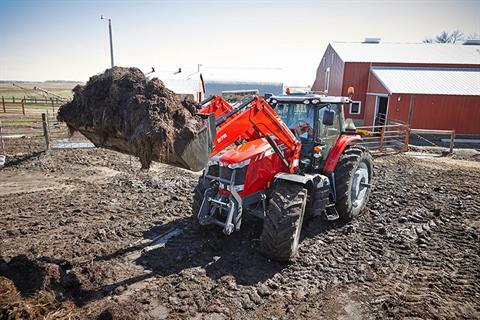 Whatever the job requires, the Massey Ferguson 7700 Series tractors will help get it done. A wide variety of implements maximize time. And minimize operating costs. REAR DRAWBAR AND HITCH: Upgraded rear linkages provide a lift capacity of up to 16,700 lbs. And the impressive hydraulic rear coupler decompression system makes changing implements simple. ENGINE POWER MANAGEMENT (EPM) SYSTEM: In tough PTO or transport applications, EPM monitors the load and operating conditions within the transmission and PTO according to speed, load and activation. 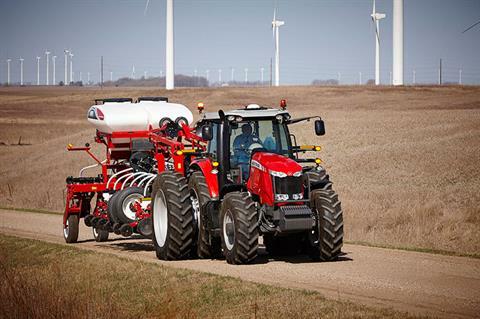 It responds automatically and adjusts fueling for extra power — up to 25 hp — when you need it most. 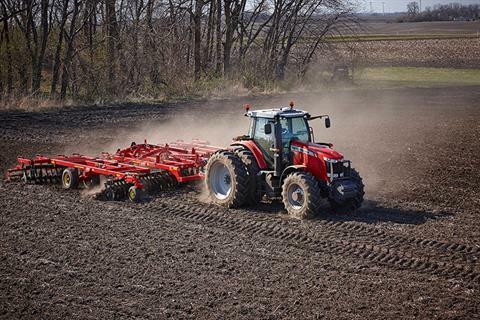 TRANSMISSION: Whether your workload demands a more traditional semi-powershift transmission, or a continuously variable one, the 7700 Series tractors have an option that fits your farm. Giving you maximum productivity, efficiency and operator comfort. ELECTRONIC TURBO WASTEGATE: The proactive turbocharger, with electronic wastegate installation, provides higher power capacities and the best engine response at all engine revs. The wastegate stabilizes the turbo boost, preserving both the turbocharger and the engine. QUADLINK FRONT SUSPENSION: A completely maintenance-free suspension provides greater traction and more power to the ground. It all adds up to best-in-class maneuverability and a smoother ride. BUILT TO GO AND GO: Your tractor can’t let you down. It’s that simple. If your equipment isn’t up and running, neither are you. 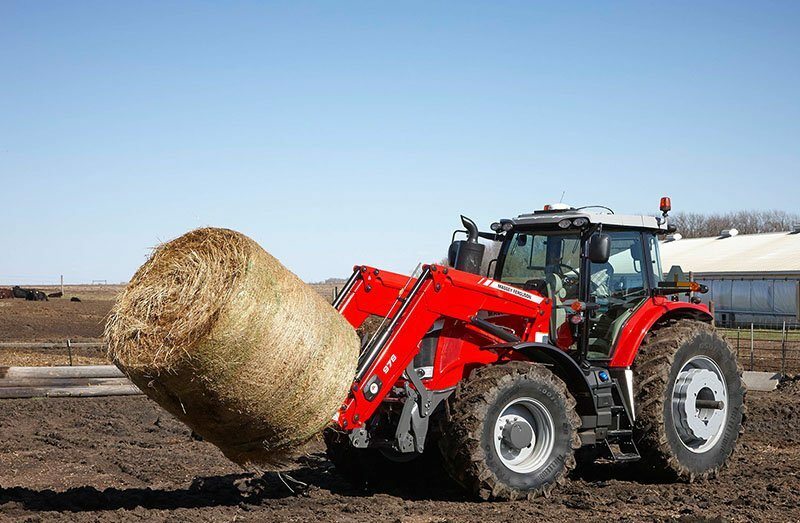 The Massey Ferguson 7700 Series is designed to deliver whatever your farm demands, whenever it’s demanded. There’s no such thing as downtime. CYCLAIR™ COOLING PACKAGE: Our exclusive and groundbreaking CYCLAIR cooling package more efficiently manages airflow into, within and out of the engine compartment. The tractor’s systems are cooled more effectively. Saving time on cleaning and maintenance. TIER 4 FINAL: New Tier 4 Final AGCO PowerTM six-cylinder 6.6- and 7.4-liter engines generate maximum power from 140-255 horsepower. And the engine, transmission, frame, axles, steering, PTO and hydraulics have all been engineered and synchronized to work harmoniously together. 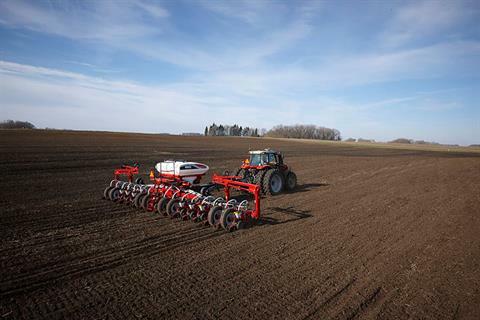 SCR TECHNOLOGY: Massey Ferguson pioneered SCR Technology all the way back in 2008. It’s maintenance free and eliminates the need for a diesel particulate filter. Providing outstanding engine efficiency and fewer emissions.